We offer a wide variety of service coupons and specials making it easy to get your automotive repairs quickly! When drivers from Andover and Methuen need vehicle service, they know that they can trust Smith Motor Sales of Haverhill Inc. for timely and accurate vehicle repairs. That’s why we offer service coupons and service specials to give you excellent vehicle and customer service for a fraction of the price. We love providing Haverhill drivers with high-quality repairs for their Mercedes-Benz models. Our goal is to keep you and your Mercedes-Benz vehicle on Massachusetts’ roads enjoying your drive. Save with Mercedes-Benz auto service coupons! Smith Motor Sales of Haverhill is your source for all auto service specials and repairs. Take advantage by printing out these FREE online service coupons and be sure to sign up for additional savings by filling out the form below. *Price advertised for Service A/Service B includes all factory-required components. Please refer to your maintenance booklet for the complete list of factory-required services and details on the specific intervals for your vehicle’s year and model. Good for only 09 or newer CPO. Brake fluid exchange recommended by the manufacturer (optional) see consultant for details. Recommended but not included. *Price advertised for Service A/Service B includes all factory-required components. Please refer to your maintenance booklet for the complete list of factory-required services and details on the specific intervals for your vehicle’s year and model. Good for only 09 or newer 2016 CPO. We look forward to assisting and serving you for all of your vehicle service needs. Drivers from Andover and Newburyport trust Smith Motor Sales of Haverhill for timely vehicle service that’s done right the first time. For *oil changes, air filters, tires, glass repair, and everything in between, we have service coupons for the repairs that your vehicle needs. We also offer service specials and promotions on a rotating basis, and we hope you’ll give us a call to see what kind of deals are available or to ask questions about your repairs. These fantastic deals are yours to claim, and we hope to see you taking advantage of our quality service and prices. 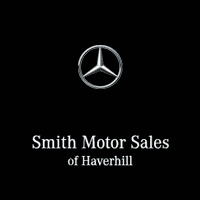 Smith Motor Sales of Haverhill is well equipped to handle service and repairs for most models and luxury vehicles in Massachusetts. Our team of certified technicians is well versed in all types of automotive repair, and they look forward to seeing service coupons utilized by our savvy customers. Call to ask about our current service coupons, or to discover what service specials and promotions we are currently offering. We look forward to helping drivers in Massachusetts secure their automotive repairs at a great price. Take advantage of the Mercedes-Benz Warranty to keep your vehicle running for years to come!